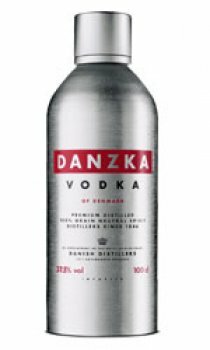 Danzka Vodka is a smooth aromatic vodka, rich in taste with a slight character of fruitiness. Developed in 1989, it has been an award winner several times. Whether you like your vodka chilled or mixed, Danzka Vodka is the perfect choise. Danzka Vodka won a silver medal in The International Spirits Challenge 2001 and 2002. This is my absolute favourite vodka, except I have the cranberry and raspberry one. It is incredibly smooth and aromatic. I can't wait til the weekend so I can have some with tonic, yum yum.